At Africa New Life, we believe that access to education is the key to helping children break out of poverty. For that reason, educational sponsorship is the heart of our ministry. Today, more than 9,500 students are sponsored across Rwanda. Africa New Life has two top-priority goals for each child we work with: to help them complete high school or a vocational equivalent and to bring them into a loving relationship with and knowledge of Christ. Sponsorship commitments help families by assisting them with school fees, which allows them to pay for other expenses. Sponsored students receive a school uniform and scholastic materials. They are encouraged to attend monthly Center Days, where they enjoy a meal, play games, and hear about Christ, as well as an annual Christian camp. Sponsorship additionally covers basic medical needs that fall outside of government-sponsored insurance, so sponsored students have a greater access to health care. *Higher sponsorship rates include more than the above items. Sponsored students are able to attend school consistently, equipped with the materials and support needed to succeed. By coming alongside a student and their family through sponsorship and prayer, you can help transform lives in an entire community. Our core sponsorship model is one sponsor per child for students in pre-school through Senior 3 (9th grade). We have a co-sponsorship model for students in Senior 4-Senior 6 due to higher education costs. This additional support enables students to finish their education well. 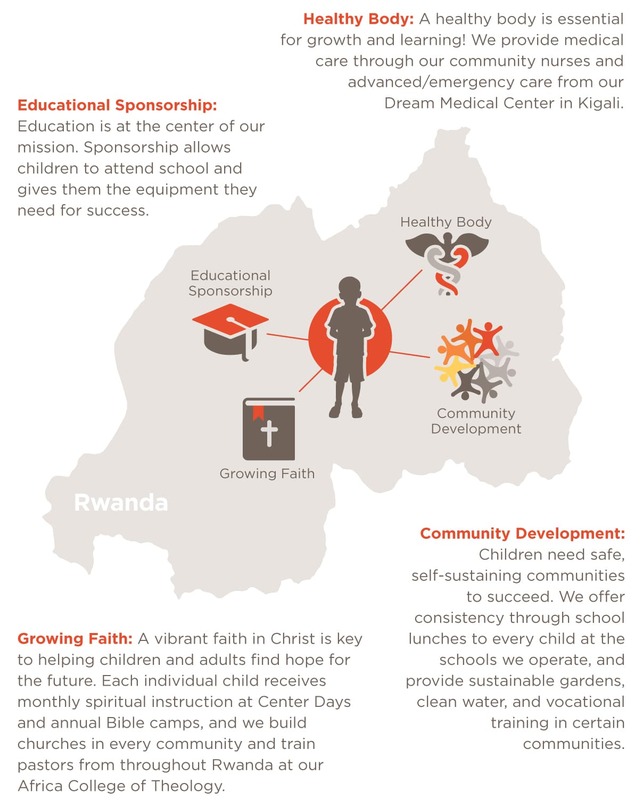 Want to learn more about sponsoring a student in Rwanda? Read our sponsorship Frequently Asked Questions or contact us at children@africanewlife.org.